The Pine Tree Scholars program introduces Columbia and Barnard graduate and undergraduate students to the crafts associated with fine book production, such as typography, letterpress printing, bookbinding, and papermaking, as well as to the rare and art book trades. Most of these sessions include a hands-on component but no prior experience is necessary. All mandatory sessions will take place on Friday afternoons; two optional sessions take place other times. This program is open to students in all departments and programs. All costs of instruction and ticket fees and lunches will be covered by Columbia and Barnard through the generosity of the Pine Tree Foundation. The program is run by Morgan Adams, Mellon Conservator for Special Collections, Columbia University Libraries; Teresa Harris, Curator of Avery Classics at Columbia's Avery Architectural & Fine Arts Library; and Shannon O'Neill, Associate Director of Archives & Special Collections at Barnard College. An informational session for the 2018-2019 program will be held in the Barnard Archives and Special Collections Reading Room (Milstein Center for Teaching and Learning, Room 423) from 2-3pm on Friday, September 21. Program directors and past students will be available to answer questions about the program. Anybody interested is welcome to join program directors as they head to the Art Book Fair @PS1 afterward. This is not a part of the program, and attendance is not required to apply to the program. Information about the 2017-2018 program is available here. To apply, please email the information requested below in the body of an email to ColumbiaBarnardPinetree@gmail.com by Monday, September 24, 2018. Please note that we receive many more applications to this program than there are spaces, so while it's always good to be succinct do make sure to clearly and enthusiastically explain why this program interests you. Also, out of thoughtfulness to others please do not apply to this program unless you are confident that you can make all of the manadatory sessions. If you anticipate holiday or weekend travel or an internship commitment that will interfere with your attendance, please don't take a space that could go to somebody else! 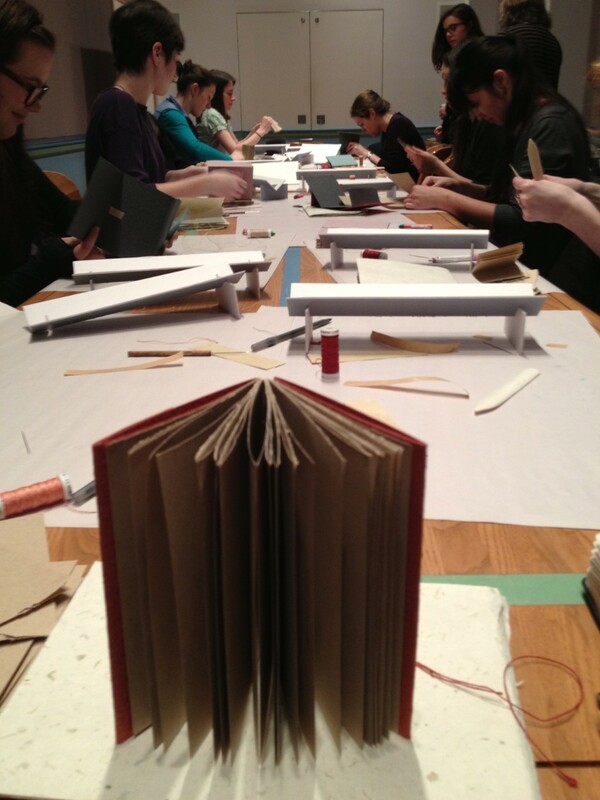 What previous experience do you have with book arts and crafts? What about with rare books or rare book libraries? In 3-5 sentences, why are you interested in this program?